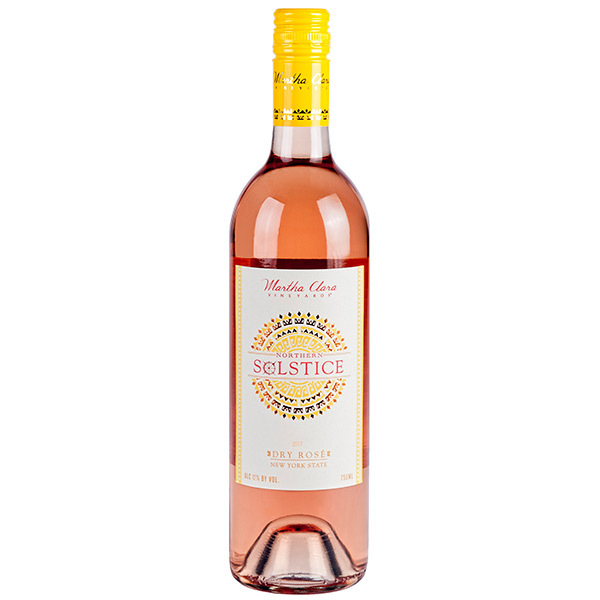 Northern Solstice Rosé is the Rose of summer. This rose is an enticing blend of Merlot, Chardonnay, and Riesling offering notes of watermelon. * Buy a case (12 bottles) at checkout and get a 15% ($34.20) discount! The grapes for this wine were machine picked, de-stemmed, crushed and pressed off of the skins. The free run was pressed up to 1.6 bar. After settling the juice was inoculated with yeast and fermented at 68 degrees fahrenheit. The wine was blended soon after fermentation and allowed to age sur lie in take for four months. A small amount of residual sugar was left in this wine giving it a palate-pleasing fullness. This wine will pair well with an assortment of cheeses, seafood, veggies, salads, light pasta dishes and any entree with mushrooms, especially black truffles. This wine especially pairs well with friends and family and is best enjoyed poolside, on the beach, on boat, or just about anywhere in the outdoors.